At some point, you may want to print out some of your lessons, either modules or a discussion topic, to study off-line. Here are instructions for doing so on particular platforms and browsers. Click on View and then on the Printer icon. Your students have the same printer icon in their view. As an instructor, simply click on the printer icon in the right-hand column of the modules list. That will gather together all sections of the module into a document. At the top of page one, there is another printer icon. Click on that to send it to your computer’s print command. By default, printing of modules is enabled in new sites so that your students have this friendly printer button to print your lectures. This is set under Modules >> Preferences. Click the OK button at the bottom of the box. Click the Print button at the bottom of the box. Click on the Print button at the bottom of the box. Click the Print button at the bottom of the window. 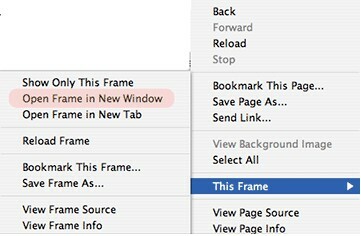 In the resulting print dialog box, click on Print at the bottom of the window. Close the new window to return to the Etudes site. 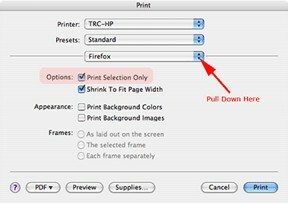 In the resulting print dialog box, click Print at the bottom of the window.